What you are mentally determines, what you be and become eventually. Having a good mental health simply means that you are capable of performing daily activities in the right shape of mind and confidence. Just like having a great physical health, you need to prevent things that could harm you mentally, as well as doing things that will enhance it’s function. The brain is the ‘Pentagon’ of all mental activity so it’s proper functioning will inadvertently boost your mental health. First of all, What are the signs that show you have a poor mental health? ∆ Regular feeling of mental fatigue. ∆ Difficulty in making simple decisions. ∆ Very poor memory retention. ∆ Having negative feelings and depression. ∆ Difficulty in associating or socializing with others. All this signs show that your mental health is not doing fine, however doing some interesting habits will improve your brain function and mental health. Do you want to find out these habits? Let’s go then! A common habit that diminishes your mental health is multitasking or trying to do it all. Most times we feel that we can accomplish a lot of different tasks on our own, so we attempt to make everything work by doing it all. If you really notice, those people who try to do it are usually disappointend and are never happy. What you should do then is to develop the habit of performing simple tasks first and doing things one by one. This will help in preventing you from becoming disoriented and keeping you focused. Like I said earlier, the brain is the main organ responsible for all mental action, so it should be kept healthy. One way of keeping the brain healthy is by challenging or exercising it. How can you exercise your brain? Playing brain stimulating games and solving problems are great ways to exercise your brain. But the coolest way of challenging your brain and improving your mental health is by learning something new, like a new skill or a new language. For you to function at your best, you need to get a good rest. Sleeping adequately will recharge your body to work better. Good Sleep also helps helps your brain to work faster and efficiently. Also, taking out time from all the stressful activities to relax and engage in a hobby that you love is an essential way to maintain a great mental health.If you are always busy don’t look for time to relax, cause you will never find time. Instead create the time. Developing the habit of regular rest and relaxation will not just improve your mental health but your general wellbeing too. Showing acts of kind is a confirmed way to improve your mental health 6 Interesting Habits That Improves Your Brain And Mental Health wellbeing. To illustrate, have you ever gave someone something he or she really needs? How did you feel when you were thanked? Did you feel thank tingling happiness and sense of inner pride? Am very sure you did. You really don’t need to wait till someone asks for help, you should take the initiative and show consideration. In return you’ll be a happy person, with a stronger mental health. Meditation is a practice that is done to induce the mind. 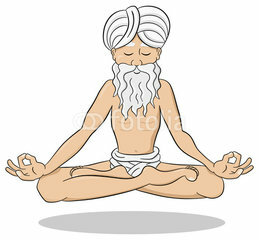 Meditation can be done is vvarious ways, using varying techniques. Meditating can benefit your brain and mind. It can be used to counteract worrying and anxiety. It can also help you to combat negative emotions and enhance positive thinking. You should meditate on things that will stimulate your thinking and help you get better mentally. Exercising habitually has been proven to improve mental health and wellness. Engaging in sufficient physical activity on a regular basis will get your blood flowing, and thereby boost your brain and mental functioning.